A Connecticut school superintendent is defending her decision to bar a third-grader from returning to school after visiting West Africa because of concern the girl may have contracted Ebola. Milford School Superintendent Elizabeth Feser says in a statement Wednesday that her actions were a good-faith response to a public health issue and in the best interest of all students. Her comments follow a federal lawsuit filed by the father of Ikeoluw Opayemi. He says the decision violates the Americans with Disabilities Act because it discriminates against his daughter for a "perceived impairment." The lawsuit says there is no Ebola in Nigeria, the country the family visited, and the decision to keep his daughter home until Nov. 3 is irrational. He wants the school to allow his daughter to return immediately. Nigerian President Goodluck Jonathan has confirmed he will run again in February's elections, his office has said. Until now he had refused to confirm his candidacy for re-election as president. The announcement comes as he faces mounting criticism over his handling of the Boko Haram insurgency and its abduction of more than 200 schoolgirls. The militants are reported to have seized control of the north-eastern town of Mubi. The government announced a ceasefire agreement with Boko Haram earlier this month that was supposed to lead to the release of the schoolgirls. Thousands of people have fled from the rebels' north-eastern stronghold throughout the course of the conflict. Local residents told the BBC the militants had raised their flag over Mubi and blocked the main access roads. Earlier there were reports of heavy gunfire and military fighter jets overhead. Mubi is a commercial hub and the second largest town in Adamawa state. Residents of the town began to flee following reports that the militants were approaching - soldiers were also reported to have fled. "There is virtually not a single resident left in Mubi. Everybody has left to save their lives," local resident Habu Saidu told the AFP news agency as he made his way through the bush. "People in thousands left the town on foot because all roads have been blocked by soldiers and it is not possible to leave by road." Mubi has in the past witnessed violence attributed to militant Islamist group. The Nigerian government says it has been talking to Boko Haram in neighbouring Chad with both parties agreeing on a ceasefire. But even after the announcement was made over a week ago, the clashes continued - raising questions about the validity of the truce. Being the incumbent from a well-financed party, President Jonathan is expected to be the main contender during next February's elections. The BBC's Tomi Oladipo in Lagos says that the president is not only being accused of not doing enough to win the release of the girls - he is also blamed for failing to curb rampant corruption in government and state institutions. In addition there have been several high-profile defections from the ruling party, including most recently the speaker of the House of Representatives. The ceasefire agreement with Boko Haram is expected to boost Mr Jonathan's chances if it results in the release of the schoolgirls. The opposition All Progressives Congress will not select its candidate until early December. The former military ruler Muhammadu Buhari is considered the favourite to lead the opposition challenge for the top job in Africa's largest economy. Throughout his career, Nwankwo Kanu has made his living off the back of having an exquisite touch few men of his size possess, and an instinctive finishing ability that saw him shine on the game's biggest stages. While a veteran of three FIFA World Cups™, were you only given 15 minutes of his career to see, you could do far worse than the climax to Arsenal's 3-2 victory over Chelsea. Played 15 years ago today, the 6ft 6in Nigerian struck a memorable hat-trick that provided a perfect collage of the finer points of his game. Two down to Gianluca Vialli's side, who had not conceded at Stamford Bridge all season – largely thanks to World Cup-winning duo Marcel Desailly and Frank Leboeuf in the centre of defence, things looked bleak for the Gunners. However, the former Ajax and Inter Milan striker inspired an unlikely turnaround, with his winning goal becoming the stuff of North London legend. “I have very good memories of that game,” the Olympic gold medal winner told FIFA.com. “It felt great to score against such a formidable team as Chelsea and it just shows the game is not over until it is over. After a pair of headers from Tore Andre Flo and Dan Petrescu had put the hosts ahead either side of half-time, and cruising with 75 minutes on the clock, Kanu took the sting out of Marc Overmars' mis-hit shot to expertly toe-poke Arsenal back into the game. Seven minutes later they were level, with the same duo combining. Overmars skipped into space beyond Leboeuf, before firing low across the box. He found his West African team-mate, where Kanu opened his body to cushion the ball into space, thumping the ball emphatically beyond the Dutch stopper. The momentum had violently swung, but it took until stoppage time for the Arsenal frontman to complete his treble, but it was worth the wait. The former African Player of the Year does himself something of a disservice, as the goal was extraordinary. Standing no more than two yards from the touchline and just inside the penalty area, placing the ball high over Desailly and Leboeuf who were stationed on the goal-line, it was an exceptional finish to cap an exceptional 15 minutes from him. "I expected him to cross," Arsenal manager Arsene Wenger admitted after the game. "If he hadn't scored it could have upset you because he really should have passed. However, great players can prove you wrong. It is one of the best goals I've seen." It was a stark change in fortunes for Kanu, who had missed a penalty against Fiorentina in the UEFA Champions League in midweek, but starting in place of Dennis Bergkamp – a man Kanu fondly called “'the eye', because of his fantastic foresight” – he repaid the fans in perfect style. Nigeria have been given until Friday to overturn a recent court ruling that voided its football elections or Fifa will ban them until May 2015. In a letter sent to the Nigerian Football Federation on Tuesday, Fifa said their directive must be met by midday, 31 October. Fifa wants the reinstatement of the NFF board that was elected on 30 September. If Nigeria fail to comply, they will be expelled from qualification for next year's Africa Cup of Nations. The Super Eagles are the reigning champions but are now facing the very real prospect of missing the chance to defend their title at the 17 January to 8 February finals. Already this year, Nigeria have been banned for government interference in the NFF and Fifa warned the country in September and again in October that another incident would result in a lengthy ban. Fifa's action follows last week's ruling by the Jos High Court annulled last month's election of Amaju Pinnick as Nigeria Football Federation president. Justice Ambrose Allagoa ruled that the elective congress of the NFF should not be recognised as the Jos High Court had put in place 11 days earlier an order that the elections could not be held. This injunction was brought by two members of the previous NFF executive led by Chris Giwa, which was stripped of its authority after elections that took it to power on 26 August were deemed invalid by Fifa. The court order was ignored by the NFF, which went ahead with their congress and the Pinnick-led executive was put in place. Justice Allagoa has ruled, however, that the original injunction remains in place and therefore the 30 September congress should not be recognised. Fifa's letter said: "As stated in our previous letters, Fifa stressed that should the electoral process and the instalment of the newly elected NFF board be affected by any interference, the case would be brought to the attention of the appropriate Fifa bodies for a suspension of the NFF until the next Fifa Congress due to take place on 28 and 29 May 2015. "We thus hope that by Friday midday, we will receive the requested evidence in order to avoid the adverse consequences of a suspension." The Federal Government of Nigeria is suing Coca-Cola and Nigerian Bottling Company (NBC), over alleged failure to comply with Consumer Protection Council (CPC) orders over two half-empty cans of Sprite. The lawsuits follow a consumer complaint, which ended in investigation into the half-filled cans of Sprite bought at a supermarket in Abuja. The case was brought to the Federal High Court in Abuja against Coca-Cola Nigeria and its chief executive as well as the Nigerian Bottling Company and its managing director for criminal breach of the Consumer Protection Act. Both firms stand accused of “deliberately failing, refusing and/or neglecting to comply” with orders over the inspection of their manufacturing processes. Individuals responsible could face up to five years in prison. CPC added that during its investigation half-filled cans continued to evaporate. CPC concluded that the Sprite situation in Nigeria poses a threat to public health. FIFA, the world football governing body, will on Monday decide whether or not to suspend Nigeria from football competitions. On Saturday in Windhoek, Namibia, the president of the Confederation of African Football, Issa Hayatou, told Nigeria’s Sports Minister, Tammy Danagogo, that the world was fed up with Nigeria’s actions in the area of football administration. “I had to plead passionately with FIFA President, Mr. Sepp Blatter not to take action on Nigeria on Friday, because Nigeria was in the final of the African Women Championship and a ban on your country would have been bad for the competition and our sponsors,” he said. At the meeting that had Nigeria’s Sports Minister, Tamuno Danagogo; Nigeria’s High Commissioner to Namibia, Biodun Olorunfemi; Nigeria’s Deputy President of the CAF Appeal Board, Amanze Uchegbulam; CAF General Coordinator, Paul Bassey; and CAF Media Committee Member, Aisha Falode in attendance, Mr. Hayattou said there was no going back on the suspension of Nigeria this week if football matters were not withdrawn from civil courts. “I appealed to FIFA to give until Monday for Nigeria to put its act together. After that, there is absolutely nothing I can do,” “It is all very disappointing because we have over 50 National Associations in Africa, but a big country like Nigeria is the one always giving us the biggest headache. His French words were translated to the rest of the Nigeria delegation by the multi-lingual Paul Bassey. Messrs. Blatter and Hayatou were among several world football leaders who congratulated Amaju Pinnick following his victory at the September 30 elections. Following his ouster by the court, Mr. Pinnick, who was, inexplicably, stopped by security operatives at the Murtala Muhammed International Airport, Lagos, on his way to Namibiaon Friday night with the Sports Minister, monitored the meeting on phone. On Thursday, the Federal High Court, Jos gave a ruling setting aside the FIFA–ordered elections of September 30 into the NFF Executive Committee, stoking the fire of anger at the world body’s Zurich headquarters. The NFF Executive Committee, led by Mr. Pinnick, has filed for a stay-of-execution of the order at the same court, which the court said it will be hear on Wednesday. Ms. Falode, who spoke from Windhoek on Sunday, said it was obvious the Government of Nigeria has to now intervene to avoid the hammer falling on Nigeria football. “The future of millions of Nigerian youth is being put at risk by some persons who feel they have nothing to lose in the case of a FIFA ban. It is now for the Government to wade in. If we get suspended from international football now, FIFA will not revisit the matter until their 65th Congress on May 29, 2015. That would be too bad for our country’s football,” Ms. Falode said. Nigeria's militant Islamist group Boko Haram has forced abducted women and girls to go to the front line to help fight the military, a new report says. The group has taken more than 500 women and girls hostage since it began its insurgency in 2009, the Human Rights Watch (HRW) report adds. Suspected militants seized about 30 children on Thursday, despite government claims of a truce. 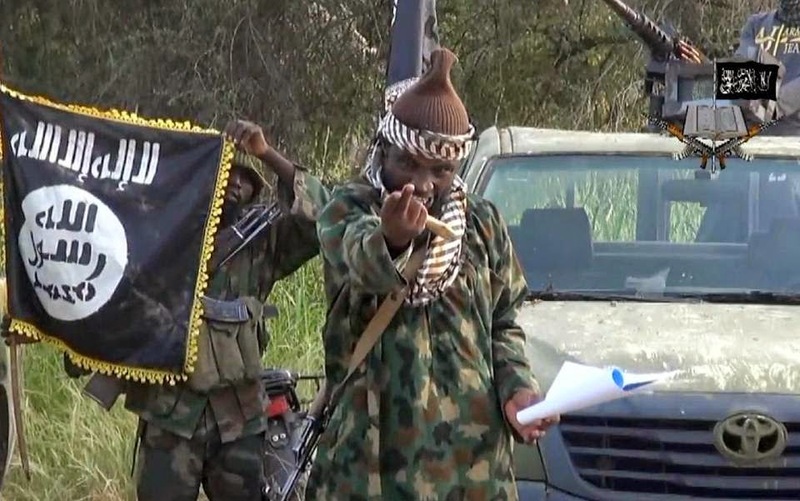 Boko Haram has declared a caliphate in areas it controls in the north-east. The group had intensified abductions since May 2013, when Nigeria's government imposed a state of emergency in the three states where Boko Haram was most active - Borno, Yobe and Adamawa, HRW said. The New-York based group estimates that more than 4,000 civilians have been killed in more than 192 attacks since May 2013 in the north-eastern and in the capital, Abuja. At least 2,053 civilians were killed by Boko Haram in the first half of 2014, it says. A man jumped the White House fence on Wednesday evening and was attacked by Secret Service dogs before being arrested, a Secret Service spokesman said. “Dogs got him,” spokesman Edwin Donovan said, referring to the intruder. He identified the intruder as Dominic Adesanya, 23, of Bel Air, Maryland, and said he was unarmed at the time of his arrest, reported the Associated Press (AP). Video showed Secret Service agents surrounding the man on the north lawn of the White House, which was put on lockdown for about 90 minutes. The man punched one of the dogs that attacked him, as seen in the video. Two Secret Service dogs “were taken to a veterinarian for injuries sustained during the incident,” Donovan said. The incident came roughly a month after an intruder armed with a knife scaled the White House fence and made it inside the executive mansion, raising questions about security levels at the heavily guarded complex and spurring the resignation of then Secret Service Director, Julia Pierson. The man climbed the fence around 7:15 p.m. (2315 GMT) and was apprehended shortly thereafter. The lockdown was lifted shortly before 9 p.m.
“The individual was immediately taken into custody on the north lawn of the White House by Secret Service Uniformed Division K-9 teams and Uniformed Division Officers,” Donovan said. K-9 refers to the team using specially trained dogs. The man was then transported to a hospital for evaluation, the spokesman said. The latest White House security breach happened the same day a gunman attacked Canada’s parliament in Ottawa. Dozens of women and girls from two villages in Nigeria's north-eastern Adamawa state have been abducted by suspected militants, residents say. The abductions have not been confirmed by the authorities, but residents say they took place a day after the military announced it had agreed a ceasefire with the Boko Haram group. The government hopes the Islamist group will free more than 200 girls seized in April as part of negotiations. Boko Haram has not confirmed the truce. Following Friday's ceasefire announcement, the government said further talks with Boko Haram were due to be held this week in neighbouring Chad. In a separate incident, at least five people were killed in a bomb blast at a bus station in a town in the northern state of Bauchi. Nobody has claimed responsibility for the attack. News of the new abductions came as MPs approved a $1bn (£623m) loan - requested by the president in July - to upgrade military equipment and train more units fighting the north-eastern insurgency. Security already costs the country close to $6bn, roughly a quarter of the federal budget. The abduction of the schoolgirls from their boarding school in Borno state sparked a global campaign to pressure the government to secure their release. Borno is the group's stronghold. It has been under a state of emergency, along with neighbouring Adamawa and Yobe states, for more than a year. The villages that were attacked on Saturday - Waga Mangoro and Garta - are close to Madagali and Michika towns, which have been under the control of the Islamist militant group for several weeks. According to people in the area, a large group of insurgents attacked the villages, rounding up women and young girls. Communication with the affected area is difficult, which is why it takes time for news of attacks to filter out. Other raids by suspected Boko Haram fighters were reported by residents in Adamawa and Borno over the weekend. Since the state of emergency was declared in May 2013, Boko Haram has taken many women and children hostage and has agreed to some prisoner swaps. The name Boko Haram translates as "Western education is forbidden", and the militants have carried out raids on schools and colleges, seeing them as a symbol of Western culture. According to the minister, the Android-based mobile app reduced reporting times of infections by 75 percent, adding that test results were scanned to tablets and uploaded to emergency databases and field teams got text message alerts on their phones informing them of the results. Johnson said the combination of the internet and mobile cellular phones has opened up tremendous opportunities for countries like Nigeria. “The steep increase in mobile use is driven by a number of factors, particularly, the additional ways in which mobile phones are being used in Nigeria. Beyond conducting voice conversations, mobile phones are often the preferred channel for receiving data and for conducting transactions in Nigeria – making phones an indispensable tool used as-cameras, wallets, shops, music players, movie screens, and information or service centres of Nigerians,” Johnson said. Nigeria is expected to be declared officially free of Ebola on Monday, after six weeks with no new cases. Africa's most populous country won praise for its swift response after an infected Liberian diplomat brought the disease there in July. The World Health Organization (WHO) officially declared Senegal Ebola-free on Friday. An estimated 70% of those infected have died in those countries. Meanwhile, European Union foreign ministers are meeting in Luxembourg to discuss how to strengthen their response to the threat posed by Ebola. European countries have committed more than 500m euros (£400m; $600m) but the UK is pressing to double that amount. The money is being sought to help reinforce over-stretched healthcare systems in Liberia, Sierra Leone and Guinea and to mitigate the damage Ebola is doing to their economies. Earlier, the Spanish government said a nurse who became the first person to contract Ebola outside West Africa had tested negative for the virus. The result suggests Teresa Romero, 44, is no longer infected although a second test is required before she can be declared free of Ebola. Ms Romero contracted the virus when treating two infected patients in a Madrid hospital. In another development, US health officials said most of the people quarantined after coming into contact with Ebola victim Thomas Eric Duncan had been given the all-clear. The 21-day monitoring period applied to about 50 people. Two nurses at the Texas Health Presbyterian Hospital in Dallas became infected with Ebola after treating Mr Duncan, who was from Liberia. He died on 8 October. The WHO can declare an Ebola outbreak over if two incubation periods of 21 days pass with no new cases. The last reported case in Nigeria was discovered on 5 September, and the country is now on the verge of a clean bill of health. The BBC's Will Ross in Lagos says that although the nation is heaving a collective sigh of relief, experts warn that Ebola will probably return to Nigeria. The outbreak there began when Patrick Sawyer, an American-Liberian citizen, was diagnosed with the illness in July. Nigeria declared a national public health emergency and Sawyer later died of the disease, followed by seven Nigerians. These included Dr Ameyo Stella Adadevoh, who diagnosed Sawyer and is credited with helping to contain the outbreak at its source. John Vertefeuille, from the US Centers for Disease Control and Prevention (CDC), said that Nigeria had taken the right steps to contain the outbreak. "Nigeria acted quickly and early and on a large scale" he told AFP news agency. "They acted aggressively, especially in terms of contact-tracing", he added. Nigeria's military says it has agreed a ceasefire with Islamist militants Boko Haram - and that the schoolgirls the group has abducted will be released. Nigeria's chief of defence staff, Alex Badeh, announced the truce. Boko Haram has not made a public statement. The group has been fighting an insurgency since 2009, with some 2,000 civilians reportedly killed this year. Boko Haram sparked global outrage six months ago by abducting more than 200 schoolgirls. The girls were seized in the north-eastern town of Chibok in Borno state, and their continued captivity has led to criticism of the Nigerian government's efforts to secure their release. Air Chief Marshal Badeh revealed the truce at the close of a three-day security meeting between Nigeria and Cameroon. He said Nigerian soldiers would comply with the agreement. "They've assured us they have the girls and they will release them," he said. He said arrangements for their release would be finalised at another meeting next week in Chad's capital, Ndjamena. The negotiations are said to have the blessing of Boko Haram leader Abubakar Shekau, reports the BBC's Chris Ewokor in Abuja. Speaking to the BBC, Nigerian government spokesman Mike Omeri said Boko Haram would not be given territory under the ceasefire agreement - and that the government would not reveal what concessions it would make. "We are inching closer to release of all groups in captivity, including the Chibok girls," he said. The congressman was so alarmed by the incident — and by what he and employees see as troubling Ebola vulnerabilities at JFK — that he fired off a letter to the federal Department of Homeland Security demanding more training and tougher protocols for handling possible cases there. The unnamed, 63-year-old passenger had boarded an Arik Air plane out of Lagos, Nigeria, on Wednesday night, a federal law enforcement source said. During the flight, the man had been vomiting in his seat, the source said. Some time before the plane landed, he passed away. Flight crew contacted the CDC, federal customs officials and Port Authority police, who all boarded the plane at around 6 a.m. as about 145 worried passengers remained on board, the source said. “The door [to the terminal] was left open, which a lot of the first responders found alarming,” said the source. “My understanding was that the passenger was vomiting in the seat,” King (R-LI) said. “The CDC went on the plane, examined the dead body and said the person did not have Ebola,” King said. “It was what I was told a cursory examination. The Port Authority cops and personnel from Customs and Border Protection were there, and they were told there was no danger because the person did not have Ebola,” King said. Between 70 and 100 passengers a day arrive at JFK from Liberia, Sierra Leone and Guinea, the three West African countries that are the epicenter of the outbreak, King said. “These individuals transit the airport with the rest of the traveling population, including using the restrooms,” King wrote to Jeh Johnson, secretary of the Department of Homeland Security, in a letter Thursday. “Only after they arrive at the Customs and Border Patrol primary screening location that they are separated and sent to secondary inspection for a medical check and to complete the questionnaire,” he wrote Johnson. King’s letter demands that Homeland Security immediately beef up protocols for what happens to potentially infected passengers in flight and at the terminal itself, prior to their reaching the screening location. The letter also demands that training and safety equipment improve for the Port Authority police and Customs and Border Patrol officials who can come into contact with high-risk passengers. “I believe there should be a suspension of direct flights and connecting flights from these three countries,” King said. “And maybe anyone with a visa from those countries, and who has been living in those countries, should be barred” from entering the US, he added. No other information was immediately available about the deceased Nigerian passenger. Nigeria have confirmed the departure of the head coach, Stephen Keshi, despite their 3-1 win over Sudan in an Africa Cup of Nations qualifier on Wednesday night. Shaibu Amodu is set to be installed as caretaker for the remaining two Group A games against Congo and South Africa. Amodu has had three previous spells in charge of Nigeria, from 1994-95, 1998-99 and 2008-10. Nigeria have four points from four games in Group A and are four points behind South Africa. 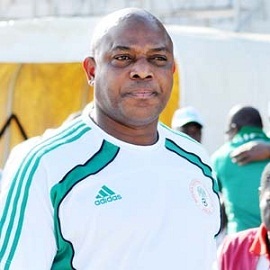 Keshi had been out of contract after the World Cup but was then tasked with navigating the Super Eagles’ route to next year’s tournament in Morocco. However, he said that their qualification campaign was being “sabotaged” after they were defeated by Congo, drew in South Africa and lost in Sudan in their opening three games. A Texas college apologized on Tuesday for what it's calling "incorrect information" after multiple international applicants received a rejection letter saying that "Navarro College is not accepting international students from countries with confirmed Ebola cases." Navarro, a two-year public college in Corsicana, is about 60 miles from Dallas, where two health-care workers have been diagnosed with Ebola; the most recent case was confirmed early Wednesday morning. Thomas Eric Duncan, an Ebola-stricken Liberian man who was treated at Texas Presbyterian Hospital in Dallas, died last week from the illness. The letter recipients are from Nigeria, a country that hasn't had a new Ebola case in more than 21 days. The World Health Organization is prepared to declare the Ebola outbreak over in Africa's largest country as soon as Monday. Nigeria managed to contain the Ebola outbreak to just 20 cases, all connected to a Liberian-American air traveler who brought the virus into the country in late July. Idris Bello, a Nigerian-American who now lives in Texas, posted Navarro College's rejection letter to Twitter earlier this week. In an e-mail, Bello told The Post that he received a copy of the letter from Kamor Abidogun, a friend of his in Houston who works as a mechanical engineer. African champions , Super Eagles of Nigeria kept hopes of qualifying for the 2015 African Cup of Nations alive, on Wednesday, after defeating Sudan Falcons 3-1 at the National Stadium in Abuja. Ahmed Musa, who promised Nigerians goals prior to the game, netted two goals in the 48 and 90th minutes while China-based striker, Aaron Samuel, also registered his name on the scoresheet. The Sudanese lone goal was scored by Salah Ibrahim in the 56th minute. The African champions came into the match under pressure and bottom of Group A with 1 point from three matches. The Stephen Keshi tutored team drew South Africa and lost to both Congo and Sudan. With the victory the Super Eagles are third behind table toppers South Africa (7 points) and Congo (six points). The joyous crowd that flooded the Abuja National Stadium on Wednesday reflected the collective sigh of a relief felt by a nation as the Super Eagles finally won their first game of the 2015 African Cup of Nations qualifiers. The Eagles are now third in Group A with 4 points after Match Day 4. The Eagles’ next games are against Congo and South Africa on November 15 and 19 respectively. Four of the more than 200 Nigerian schoolgirls kidnapped by the militant Islamist sect Boko Haram in Cameroon have escaped, raising hopes for the young prisoners still held captive, according to a report. The free girls, all between ages 16 and 18, escaped with the help of a teenage boy prisoner, who managed to get them out of the camp, according to Stephen Davis, a British-Australian negotiator who had tried to bargain with the extremist Islamic group for the schoolgirls’ freedom. The girls, guided by the setting sun, walked west for three weeks, finally arriving in a Nigerian village, starving and traumatized. Davis said the girls had been told that if they fled Boko Haram, their families would be killed. Nearly six months have passed since more than 200 girls were snatched from their boarding-school dormitory in northeastern Nigeria by Boko Haram operatives after being awakened by the sound of gunfire. Their abduction sparked global outrage and a huge campaign calling for their rescue, partly propelled by the hashtag #BringBackOurGirls. Even First Lady Michelle Obama issued a tweet holding a sign emblazoned with the hashtag. Davis said several attempts to negotiate their release have fallen through. Advocates have expressed frustration that the world has moved on. “Even before Ebola and ISIS’s intensified activities, most of the world that stood with #BringBackOurGirls had moved on,” Ibrahim Abdullahi, the Nigerian lawyer who started the #BringBackOurGirls campaign, told The Guardian newspaper. Security was on Tuesday morning beefed up around the Presidential Villa, Abuja, ahead of a planned protest rally by the BringBackOurGirls (BBOG) campaigners. The BBOG campaigners are pushing for the rescue of the schoolgirls abducted from the Government Girls’ Secondary School, Chibok, Borno, on April 15. In a statement by its Media Coordinator, Rotimi Olawale, on Monday in Abuja, the group threatened to march to the Villa on Tuesday “to engage with President Goodluck Jonathan’’. It said the purpose of the engagement was “to convey the urgency of the girls’ rescue and to hear directly from the president on the status of the rescue efforts by security agencies’’. The march is scheduled to begin at the Unity Fountain, located close to Transcorp Hilton Hotels, Maitama, and proceed to the State House through the Federal Secretariat. But as at 8.20 a.m. there has been heavy presence of armed security men at the two major gates leading to the Villa, apparently to forestall possible breakdown of order. At the gate approaching from the Fire Service side of Asokoro, armed policemen and soldiers had been stationed at the traffic light junction before the usual security checkpoint. The same situation played out at the Federal Secretariat end of the entrance. Armed policemen and soldiers from the Brigades of Guards were stationed at a spot between the Villa Gate and the access road that leads to the National Assembly. The News Agency of Nigeria (NAN) recalls that this is the second attempt by the group to take their protest to the Villa since the girls’ abduction. In May, the group marched to the Villa where some top government officials, including the Minister of State for FCT, Mrs Olajumoke Akinjide, addressed them on behalf of the president. Following Nigeria’s timely containment of the Ebola virus disease (EVD), which is awaiting the World Health Organisation’s (WHO) certification as an Ebola-free nation, the United States of America and Canada have dropped Nigeria from countries whose nationals will be carefully screened at their major airports while entering the country. The exclusion of Nigeria from the list has been viewed by industry watchers as another affirmation of the country’s ability to effectively contain the deadly disease from escalating to a national outbreak as it has in Liberia and Sierra Leone. The US over the weekend commenced a detailed check out screening procedure for travellers from Liberia, Sierra Leone and Guinea at New York’s John F. Kennedy (JKF) airport and should extend the screening to New Jersey’s Newark, Washington’s Dulles, Chicago’s O’Hare and Atlanta’s Hartsfield-Jackson airports, later this week. The new checkout screening procedures for passengers from the Ebola-stricken nations which entails checking of passenger’s temperature and querying of passenger’s recent whereabouts, however, contradicts the World Health Organisation’s (WHO) advice that passenger screening is best done when departing a country, rather than when arriving. Though there are currently few direct flights from Ebola-affected countries to the U.S, as many West African passengers arrive the U.S on connecting flights from other parts of the world, analysts predict that the new task might be challenging but certainly worth the stress. The latest move by the US is expected to thoroughly scrutinise 150 travellers per day from the three most affected countries, with the five airports estimated to receive about 94 percent of West African travellers, JFK alone accounting for around 43 percent and Washington Dulles about 22 percent. Nigeria coach Stephen Keshi claims his side's 2015 Africa Cup of Nations qualifying campaign has fallen victim to sabotage following a winless run so far. The Super Eagles look set to miss out on the chance to defend the title they won in 2013 after Sudan handed them a 1-0 defeat as they sit rock bottom of Group A after managing just one point from their opening three qualifiers. And Keshi, who has come under intense criticism since Nigeria's failed 2014 World Cup campaign, says there are internal factors at work which have led to the side's downfall. “There is a sabotage by some people, who I won’t mention their names but who know themselves. They want to run this team down," Keshi told African Football. “It’s a shame. They don’t want this team to get to the AFCON, they want this team to lose outright. But they are not God." The 2010 Content Development Act has improved Nigeria’s oil and gas landscape increasing the participation of locals and has empowered Nigerian women to take up more senior positions in the sector. 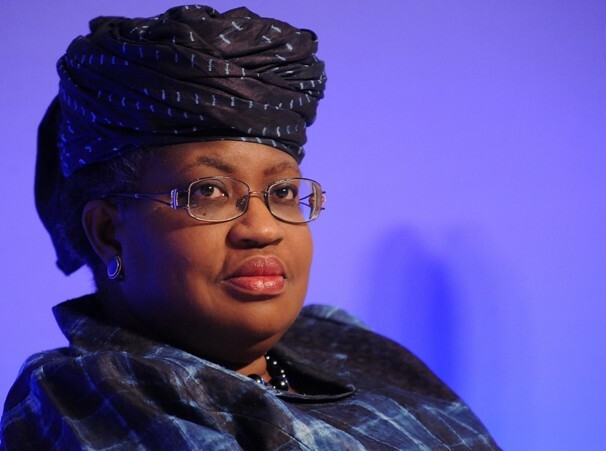 The Minister of Finance, Dr Ngozi Okonjo-Iweala, on Friday bagged the African Finance Minister of the year award for her outstanding performance as a finance minister. The award was presented to her by the African Investor Magazine on the sideline of the ongoing annual meetings of the World Bank and the International Monetary Fund (IMF) in Washington DC. She thanked the organisers for the award and described it as an absolute honour and auspicious. She called on all investors in Africa to join the fight against the deadly Ebola virus disease that is ravaging some countries in West Africa. “What is happening in Liberia, Guinea and Sierra-Leone and the success we had in Nigeria and Senegal in containing this virus should not be allowed to set Africa back. “You as private sector and friends of Africa need to send the message that we should not be so afraid of Ebola that we stigmatise the whole continent. “I think that it is only with your own leadership, as African investors, that the rest of the world can see which way they should pass. So, I am really urging you to be ambassadors to the continent,” she said. Okonjo-Iweala said that in spite of the challenges facing the continent, African leaders should sustain the successes recorded in the past. These challenges, she said, include infrastructure, governance, poor education system, employment, corruption, among others. “We are not shying away from these challenges but the turning point now is that we are in the continent where we have the political will and confidence to tackle these challenges. Okonjo-Iweala called for continuous partnership with the private sector, donor agencies and non-governmental organisations. The United States Ambassador to Nigeria, Mr. James Entwistle, has explained that the dismal human rights record is responsible for limiting the scope of the country’s assistance to Nigeria in its fight against Boko Haram. The ambassador made the disclosure at the American University of Nigeria in an interaction with journalists shortly after delivering a lecture at the institution as part of activities lined up by the university to mark its 10th year anniversary. He also had a brief meeting with the former Vice-President Atiku Abubakar, who is the founder of the university on the campus. Entwistle noted that it would be wrong of the US to extend help to the Nigerian military in the face of gross human rights abuses. He was responding to the question that the US was not forthcoming in its support of Nigeria in the war against Boko Haram. There had been reports that the US was stifling acquisition of high tech military hardware in the country’s quest to contain the activities of the dreaded sect. He said one of the ground norms for the US assistance on procurement of sophisticated military hardware was for the US to look at the human rights record of that country. The ambassador said that for Nigeria, there had been instances of human rights abuses across its borders, especially in the North-East, stressing that it would be wrong for the US to extend help to the Nigerian military in the face of gross human rights abuses. Entwistle, however, explained that much as the US would have loved to assist Nigeria, it realised that “if you don’t take care of the soldiers on the ground, even if you buy hi-tech equipment, it doesn’t help the situation because it won’t work”. He said it was this concerns which made it difficult for the US to be a little circumspect in Nigeria’s acquisition of military hitech military hardware. The ambassador, however, stressed that the notion that the US was not sharing equipment with Nigeria was not true because so far the US and Nigeria had enjoyed “fantastic relationship which include the sharing of military intelligence and equipment support from the US to their Nigerian military counter-parts”. Entwistle said that the best was yet to come for Nigeria, noting that even though there were challenges being faced by the Nigerian state, he saw hope in the ability of the country to surmount this challenges to lead Africa. He added that “even so every country at one time or the other has faced one challenges or the other” and pledged the support of the American people. The ambassador explained that the US military left Nigeria when it became clear that the government did not require the US military specialty in the government’s quest to release the Chibok girls from their Boko Haram captors. He added that nonetheless the US support for the Nigerian government in its effort to secure the release of the girls still remained. Nigeria's President Goodluck Jonathan threatened legal action Thursday against a website that listed him as Africa's sixth richest head of state with a net worth of about $100 million (78 million euros). The article on richestlifestyle.com provided little evidence to substantiate its list of Africa's eight richest presidents. But the claims about Jonathan, who has led Africa's top oil producer since 2010, made front page news in several Nigerian newspapers on Thursday.Jonathan's inclusion in the article was "baseless and libellous," his office said in a statement. "President Jonathan has never been a businessman or entrepreneur," it added. "The clear and unacceptable imputation of the claim that President Jonathan is now worth about $100 million is that the president has corruptly enriched himself while in office which is certainly not the case," it said. Jonathan's office demanded "a retraction and an unreserved apology from Richest Lifestyle.com and all those who have reproduced the offensive article," and threatened action "in courts of law within and outside Nigeria." While there was no retraction or apology on the site, the item concerning Jonathan has been removed. Emails to the contact address for richestlifestyle.com were not delivering on Thursday and the site's managers were not available to comment on either the research supporting the article or why the Jonathan item had been removed. The presidency's swift response to the previously obscure website's claims highlights the sensitivity of corruption as a political issue in Nigeria. The country's vast oil wealth has for decades been squandered by the ruling elite and Jonathan has sought to portray his administration as a departure from the corrupt regimes of the past, even if many experts say graft has hit record high levels. Jonathan is in the coming weeks expected to announce his re-election bid for February polls and Nigeria's main opposition has already signalled that it intends to make corruption a key issue in the campaign. Following the failed arms deal between a South African firm and the Nigerian government leading to the seizure of Nigeria’s $5.7m by the South African authorities, the Federal Government is said to be threatening the business concerns Nigerian-based South African entities. A Nigerian firm Societe D’ Equipment Internationaux, and a South African company, Cerberus, had had a deal in which the latter was to supply some military hardware to the Nigeria firm on behalf of the federal government, but the Asset Forfeiture Unit of the National Prosecuting Authority of South Africa froze the money which was wired to the South African firm for the arms deal. The cash seizure, the second in a month, has understandably sparked diplomatic row between the two leading African nations. Investigations have shown that top officers of the Federal Government were sorely vexed that the South Africans were deliberately embarrassing the nation in the eye of the international public. According to Information Nigeria, “The issue could affect bilateral relations between Nigeria and South Africa,” the NSA official, who asked not to be mentioned said. Although South Africa’s National Prosecuting Authority made no immediate comment, the asset freeze has been widely reported in both Nigerian and South African media. The NSA’s office source, who spoke to AFP, specifically mentioned MTN as a company that could be targeted should Nigeria decide to retaliate. “You cannot be making so much money from Nigeria and then turn around and embarrass the people,” the Nigerian official said. Investigations revealed that about 14 South African Companies operating in Nigeria are doing very well. Some of them include MTN, Power Giant, Eskom Nigeria, South African Airways,South African Breweries (SAB miller), Stanbic Merchant Bank of Nigeria, Multichoice, Umgeni Water, Refresh products, PEP Retail Stores, Shoprite, LTA Construction, Protea Hotels, Critical Rescue International, South African-Nigeria Communications, Global Outdoor Semces, Oracle, Airtime just to mention a few of them. In addition, 14 Southern African companies have been contracted to collect revenues for PHCN. Given the huge economic activity of South Africa in Nigeria, sources in the presidency believe the attitude of South Afria to Nigeria in this arms deal is a demonstration of utmost bad faith. The NSA, Col Sambo Dasuki (rtd) had noted last Monday that Nigeria had provided economic platform to South Africa and thus expected it to be guided by such Nigerian gesture. According to sources, President Jacob Zuma of South Africa had prior knowledge of the deal as his Nigerian counterpart Goodluck Jonathan had called him about the purchase. It therefore came as a surprise to the Nigerian government that the deal had been blocked. Zuma’s spokesman Mac Maharaj however declined to comment on the reported conversation between the two leaders, but told AFP the president was not part of the committee that reviews arms deals. The NSA official did not identify the South African broker. The website of South Africa’s City Press named the firm as the Cape Town-based Cerberus Risk Solutions but that could not be independently verihought to have frayed in recent months. The US offered military and logistical support in helping rescue the more than 200 schoolgirls kidnapped by Boko Haram in April, but experts said the Americans were largely rebuffed by Nigeria’s top brass. Already, it was gathered that the Nigerian government is compiling instances of aggression of South Africa to Nigeria with the intent of kicking off a diplomatic row. As a prelude to it, the South African envoy to Nigeria, Lulu Mnguni, had been summoned over the botched arms deal which led to the seizure of millions of dollars. Insiders expressed frustration with the action of South Africa, especially as the transactions are both between two legitimate entities. South African authorities have confiscated yet another US$5.7 million arms money from Nigeria, nearly three weeks after seizing $9.3 million in cash transported by two Nigerians and an Israeli for arms purchase, South Africa-based City Express reported Monday. As with the first deal, South Africa’s Asset Forfeiture Unit of the National Prosecuting Authority seized the $5.7 million (about N952 million) for allegedly being the proceeds of illegal transactions, the paper said. The news came more than two weeks after two Nigerians and an Israeli national were arrested in South Africa after they attempted to smuggle US$9.3 million apparently meant for buying arms for the Nigerian intelligence service. The men landed at Lanseria International Airport, Johannesburg, on September 5 in a private jet from Abuja with the money stashed in three suitcases. At the time, the South Africa Revenue Service, SARS, said customs officers became suspicious when the passengers’ luggage were unloaded and put through the scanners. The National Prosecuting Authority, NPA, in South Africa said there was an invoice for helicopters and armaments intended to be used in Nigeria. Two black plastic suitcases, filled with 90 blocks each containing US$100,000 in notes, with combination locks, were seized, as well as two pieces of hand luggage also containing US currency, according to City Press. The Israeli national, Eyal Mesika, had the combination to open the locks. Under South African laws, a person entering or leaving the country is expected to carry cash not exceeding US$2,300, or the equivalent in foreign currency notes. The news of the first transaction sparked anger in Nigeria after it emerged the private jet involved belonged to the head of the Christian Association of Nigeria, CAN, Ayo Ortisejafor. Mr. Oritsejafor, a close ally of President Goodluck Jonathan, said the plane had been leased to a third party and he could not be blamed for its schedules. The Nigerian government later admitted it was behind the arms deal, claiming it acted out of desperation for arms to defeat extremist sect, Boko Haram. An investigation planned by the Senate into the transaction has yet to begin while the House of Representatives threw out a motion seeking a probe. The South African newspaper, City Press, said documents in its possession show that the first consignment was personally signed off by the National Security Adviser, Sambo Dasuki, who issued the end-user certificate for the transaction. An entire “shopping list” was supplied with the certificate, which included everything from helicopters to unmanned aircraft, rockets and ammunition, it said. The latest transaction, according to the paper, was between Cerberus Risk Solutions, an arms broker in Cape Town, and Societe D’Equipments Internationaux, said to be a Nigerian company based in Abuja. The paper said the deal fell apart after Cerberus which had earlier received from Nigeria R60 million (N1.02 billion) in its account at Standard Bank, tried to repay the money as it it could not resolve its registration formalities with the South African authorities. “Cerberus was previously registered as a broker with the National Conventional Arms Control Committee (NCACC), but the registration expired in May this year,” City Press said. “The marketing and contracting permits also expired at the same time. The company has since applied for re-registration, but the application lay in the NCACC’s mailbox for more than two months. “Sources told Rapport that Cerberus apparently tried to pay the money back to the Nigerian company, after which the bank became suspicious,” the paper reported. The paper added that while the NPA’s Asset Forfeiture Unit subsequently obtained a court order in the South Gauteng High Court to seize the money, the NPA spokesperson Nathi Mncube, said there were no indications the two transactions were related. “However, both are now the subject of a criminal investigation and all possible information and connections are being investigated,” Mr. Mncube was quoted as saying. Boko Haram militants killed seven people on Monday in the remote northeast of Nigeria, residents and an official said, with reports indicating the victims were beheaded in a revenge attack. The overnight raid targeted the town of Ngamdu in troubled Borno state, the area hardest hit in the Islamists’ five-year uprising. When locals woke they discovered "seven people had been brutally killed", said resident Musa Abor. The gunmen "slit their (victims) throats just the way people slaughter goats", he added. Abor and a Borno state official, who asked that his name be withheld, said the bodies had been decapitated, in the latest act of gruesome violence blamed on the Islamists who have killed more than 10,000 people since 2009. In recent months, Boko Haram insurgents have targeted reprisal attacks at locals who have fought alongside the military as vigilantes. An army officer in Borno, who also requested anonymity, said 15 Boko Haram fighters were killed in clashes in Ngamdu two weeks ago and the group had vowed revenge against the community. Those killed on Monday could not immediately be identified as vigilantes and the defence ministry was not available to comment on the attack or the alleged beheadings. The violence came as Nigerian Muslims marked the Eid al-Adha festival, a public holiday in the religiously divided country. Most Islamic holidays in recent years have been marred by Boko Haram violence. The militants are thought to be in control of more than two dozen towns and villages in the northeast, but the military has vowed to retake all lost ground as part of a continuing offensive launched in May of last year. The military had imposed a travel ban across Borno and neighbouring Yobe state to last through the Eid holiday to guard against insurgent attacks. But the measure is almost impossible to enforce in the remote region, where analysts say the army does not have enough troops on the ground to patrol a vast area with a terrible road network and poor mobile phone coverage. Nigeria has been described as one of the worst places to grow old, this is according to an index of the quality of later life in 96 countries. HelpAge International’s Global AgeWatch Index measures the social and economic welfare of those over 60 in its latest report released on Tuesday. HelpAge International is an organisation committed to helping older people to claim their rights, challenge discrimination and overcome poverty, so they can lead dignified, secure, active and healthy lives. The report published on the United Nations International Day of Older Persons, ranks Nigeria at 85th position out of 96 countries. “Nigeria ranks 85 on the overall Global AgeWatch Index. Its highest rank is in the capability domain (47), with a lower than regional average for the employment indicator (70.6%) and a higher than regional average for educational attainment (17.4%). “Nigeria ranks low in the enabling environment domain (75) and below the regional average for civic freedom (53%) and satisfaction with public transport (42%). Its rank for the health domain is very low (88) and it has a below regional average for the life expectancy at 60 indicator. It ranks lowest on the income security domain (90), with very low pension income coverage (5%) and GDP per capita (US$ 2,254),” the report noted. The HelpAge listed Ekiti and Osun as the only states in the country providing social pensions to older people. It added that only five per cent of people over 65 currently receive pension in Nigeria. Commenting on the employment of older people, the organisation noted that 70 per cent of the population aged 55-64 are employed, adding that the indicator measures older people’s access to the labour market and their ability to supplement pension income with wages, and their access to work-related networks. According to the report, the employment rate is a proxy for the economic empowerment of older people in the country. The Nigerian military on Thursday at the Defence Headquarters Garrison inaugurated a nine-man General Court-Martial to try 97 military personnel.The personnel are being charged for different offences ranging from mutiny, assault and misconduct to tampering with military property. Of the 97 soldiers, 66 have been accused of committing mutiny, a crime punishable under the military law by death sentence.Highly placed military sources told PREMIUM TIMES that among the personnel set to face the General Court Martial include some senior officers: two colonels and some lieutenant colonels. A list obtained by PREMIUM TIMES which contained names of 60 soldiers, said the soldiers conspired to commit mutiny triable by a General Court Martial.The soldiers attached to the 7 Division, Nigerian Army in Maiduguri include two Corporals, Cpl, nine Lance Corporals, LCpl and 49 Private soldiers, court martialed on a two-count charge of mutiny and conspiracy to commit the offence. The charge sheet said the soldiers conspired to commit mutiny against the authorities of the 7 Division on August 4, at the Mulai Primary School camp, opposite AIT Maiduguri, Borno State. It also said the soldiers refused to join 111 Special Forces battalion troops led by E. A. Aladeniyi, a colonel, to the Maimalari Barracks for an operation. “In that you at the Mulai Primary School Camp opposite AIT Maiduguri on or about 4 August 14, refused to join 111 SF Bn troops led by Col EA Aladeniyi (N/9695) to Maimalari Barracks in connection with an operation,” the charge sheet read. The charges came two weeks after a military court sentenced 12 soldiers to death for shooting at a vehicle conveying their commander in Maiduguri.The sentences await the approval of the army chief. Five other soldiers were discharged and acquitted while one was sentenced to 28 years jail term with hard labour. The soldiers were also accused of insurrection and firing at the utility vehicle of their general officer commanding, GOC of the same 7 Division, Ahmadu Mohammed.Many Nigerians have condemned the death sentences and have demanded they be suspended.A previous statement by the Army spokesperson, Olajide Laleye, said Thursday’s court martial was in line with efforts by the army to clear all cases relating to violation of the Armed Forces Act. Mr. Laleye, a brigadier general, said the general court martial would try officers over ongoing military operations in the northeast Nigeria. Boko Haram leader Abubakar Shekau dismissed Nigerian military claims of his death in a new video obtained by AFP on Thursday and said the militants had implemented strict Islamic law in captured towns. “Here I am, alive. I will only die the day Allah takes my breath,” Shekau said, adding that his group was “running our… Islamic caliphate” and administering strict sharia punishments. Nigeria’s military said last week that Shekau was dead and that a man who had been posing as the group’s leader in the videos had been killed after fighting with troops in the far northeast. Security analysts and the United States questioned the credibility of the military’s claim. The new 36-minute video showed Shekau, in combat fatigues and black rubber boots, standing on the back of a pick-up truck and firing an anti-aircraft gun into the air. Standing in front of three camouflaged vans and flanked by four heavily armed, masked fighters, he then speaks for 16 minutes in Arabic and the Hausa language widely spoken in northern Nigeria. There was no indication of where or when the video was shot. The heavily bearded Shekau, who appeared to be the same as those in previous clips, said the military’s claim that he was dead was propaganda. “Nothing will kill me until my days are over… I’m still alive. Some people asked you if Shekau has two souls. No, I have one soul, by Allah,” he said, apparently reading from a script. “It is propaganda that is prevalent. I have one soul. I’m an Islamic student". “I’m the Islamic student whose seminary you burnt… I’m not dead,” he added, apparently referring to the destruction of the group’s mosque in the Borno state capital, Maiduguri, in 2009. There have been two previous claims by Nigeria’s security forces that Shekau was dead — once in 2009 during unrest in Maiduguri — and again in 2013. Following each previous claim Boko Haram has issued denials in video messages. Elsewhere in the new video, the militant leader said the group had implemented strict Islamic law in the towns that it had captured in recent weeks. “We are running our caliphate, our Islamic caliphate. We follow the Koran… We now practise the injunctions of the Koran in the land of Allah,” he said. The group also claimed to have shot down a Nigerian air force jet that went missing nearly three weeks ago. An air force spokesman said the jet was missing. “For any group to claim they shot it down is mere propaganda and rubbish,” Air Commodore Dele Alonge told AFP. Ghana is planning to export thousands of megawatts of electricity to Nigeria, Ivory Coast and other neighbouring countries that have power deficit, sources say here. Nigeria's Punch newspaper on Thursday quotes Ghanaian President, Mr. John Mahama, saying at the Africa Global Business and Economic Forum in Dubai, UAE on Wednesday, that his government had made huge investments in power generation that would enable the country to export excess electricity to Nigeria and other countries in the sub-region. We have given priority to electricity generation in our country. We have prioritised energy in such a way that we want to become the hub for power production in West Africa. We want to generate electricity to the point that excess power can be exported to Nigeria, Ivory Coast and other countries that have power deficit, he said. To achieve this dream, Mahama said that his country had secured export-import financing from China as well as special funds from Abu Dhabi to commence a series of power generation projects and that a third hydropower dam project was already at an advanced stage. The Ghanaian leader, who spoke in a panel discussion along with President Paul Kagame of Rwanda and President Mulatu Wirtu of Ethiopia, added: Where Africa faces some of its challenges lies its biggest opportunities. We are leveraging on public-private sector partnership to build infrastructure. Be it roads, electricity, ports or communication systems; if we create the right environment, investors will come. Creating the right environment that will attract foreign direct investment is the key. In achieving this, the Ghanaian leader joined Kagame and Wirtu to emphasise the need for African governments to strengthen anti-corruption agencies in their various countries. President Goodluck Jonathan on Wednesday addressed the nation, on the occasion of Nigeria’s 54th Independence Day Anniversary. In his speech, the President recounted Nigeria’s experiences in it’s first 100 years as a sovereign nation, adding that “far reaching advances in building a strong, united and prosperous nation” had been made. However, he noted that the country is still in a sober mood, following the activities of terrorists. He addressed issues concerning the economy, terrorism, Ebola, while espousing his administration’s achievements.